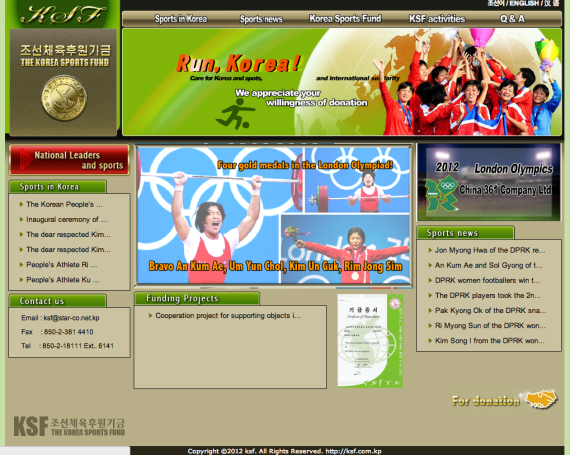 Site Contents: The site contains information about North Korea’s international sports programs. It’s a completely new and updated version of a site by the same name that used to reside on a subdirectory on the Naenara site. Content is available in Korean, English and Chinese. 2 Comments on "Faster Korea"
Best Site in the most free Country in the World. We love you. We live in Canada and we want to visit 북한 as soon as possible. Hopfully you will never stop rising.